We live in an age where we’re being sold products, brands and lifestyles, even when we’re not aware of it. Advertising has transcended from television commercials and billboards to the books that we read, the television programmes that we watch and even the people that we talk to unknowingly in a bar. Consumerism is certainly at its height, but is this a social and economic order and ideology that will continue to grow or, will a new minimalist movement eventually win out? The notion of consumerism is not a recent one, it has been building since the 1840s when department stores started to emerge and offer consumers a greater variety of items such as dry goods, clothing and home décor. Consumerism encourages the acquisition of goods and services in ever-increasing amounts, encouraging the idea that an individual will be that much happier and fulfilled with the purchase of every product. However, Netflix’s latest documentary release: Minimalism: A Documentary About the Important Things demonstrates how your life can be better with less. It takes the audience inside the lives of minimalists from all walks of life—families, entrepreneurs, architects, artists, journalists, scientists, and even a former Wall Street broker—all of whom are striving to live a meaningful life with less. It would seem that too much ‘stuff’, rather than improving a person’s quality of life, is negatively impacting upon people’s wellbeing, contributing to increased anxiety, unhappiness and poor health. People fail to attain the ‘perfect’ lifestyle presented within advertising and feel weighed down emotionally with the stress of the physical clutter that accumulates in this fruitless pursuit. So, what are the principles of minimalism? Who is promoting it? And why is this movement gathering pace? According to Joshua Becker, bestselling author of The More of Less at its core, minimalism is the intentional promotion of the things we most value and the removal of everything that distracts us from it. It is a life that forces intentionality. And as a result, it forces improvements in almost all aspects of your life. Regarding consumerism, it frees a person from the all-consuming passion to possess, it invites us to slow down, consume less but enjoy more. It values relationships, experiences, and soul-care. Becker is one of many leading the way in minimalism, birthing thousands of Instagram accounts dedicated to people documenting their minimalism journey, or simply aspiring to a more organised, simplistic and joyful life (@minimalismlife, @intentialism, @livingbetterwithless to name a few). Another powerhouse in this field is The Minimalists AKA Joshua Fields Millburn & Ryan Nicodemus. Through their website, books, podcast and public speaking the pair help over 20 million people live meaningful lives with less and have been featured in prominent media including New York Times, Wall Street Journal, Forbes and BBC. They are also behind the documentary Minimalism: A Documentary About the Important Things and with 136k followers of their Instagram account it’s clear that theirs is a voice that people want to hear. Another noteworthy mention must go to the queen of decluttering, Marie Kondo, best-selling author and organising consultant who has forever changed the way we tidy. Through her two books – ‘The Life-Changing Magic of Tidying’ and ‘Spark Joy’ she has spread her unique KonMari method of tidying which is now being implemented by readers across the world, including actress Jamie Lee-Curtis who commented in Time magazine: “I recommend it for anyone who struggles with the material excess of living in a privileged society… to show you how serious my respect for Ms. Kondo is: if I ever get a tattoo, it will say, Spark Joy!” As Curtis implies, people are drawn to her method as it places great importance on being mindful, introspective, and optimistic. Belongings are acknowledged for their service and thanked before being discarded, if they no longer spark joy. So why is it so popular? 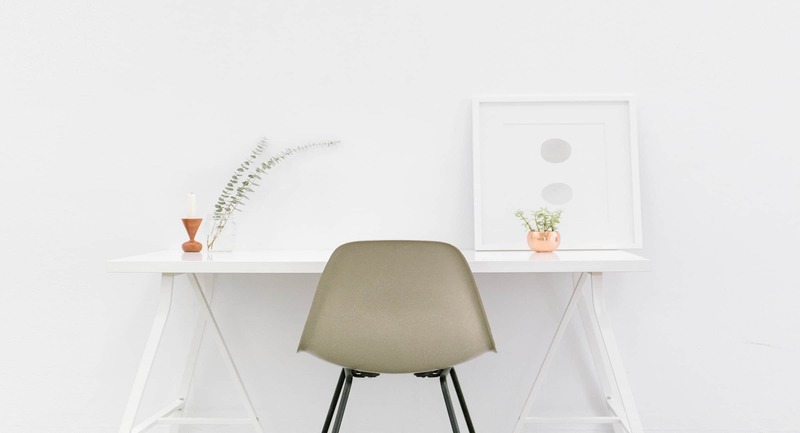 Joshua Becker examines this best in his blog post: 10 Reasons Why Minimalism is Growing but his observation that ‘the benefits are desired more now than ever’ is wholly representative of the cause behind the movement. He says that ‘Minimalism offers a life with less stress, less distraction, more freedom, and more time. All things that people today are desperately searching for more than ever.’ He also reasons that people are coming to the realisation that there’s more to life than possessions – they have tried finding happiness through ‘stuff’ during the world’s latest economic boom… and have been left unfulfilled. As a result, they are beginning to seek happiness and fulfilment in other places: relationships, social causes, and significance. With this in mind, businesses would be wise to understand the motivations of those turning to minimalism, and consider their business models and marketing and PR communications carefully in order to offer this new target audience something that they too will value. This could be ensuring a strong CSR policy is implemented, packaging is subtly adjusted or streamlining messaging so that those being more careful in their purchasing choices choose you over other more ‘inconsiderate’ brands. If this blog interests you, you might enjoy our thoughts on the growing place of screen technology in our lives. The Tonic Communications has its hand on the pulse of the news’ healthcare PR and wellbeing agenda and our specialist healthcare experience can help clients navigate these waters. For further information please contact us.